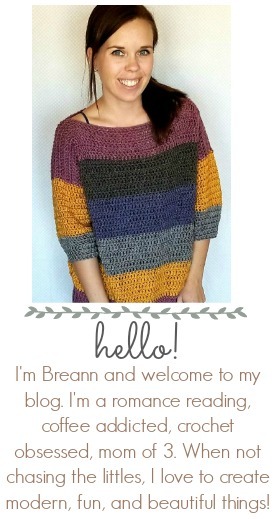 My favorite cotton yarn is I Love This Cotton! 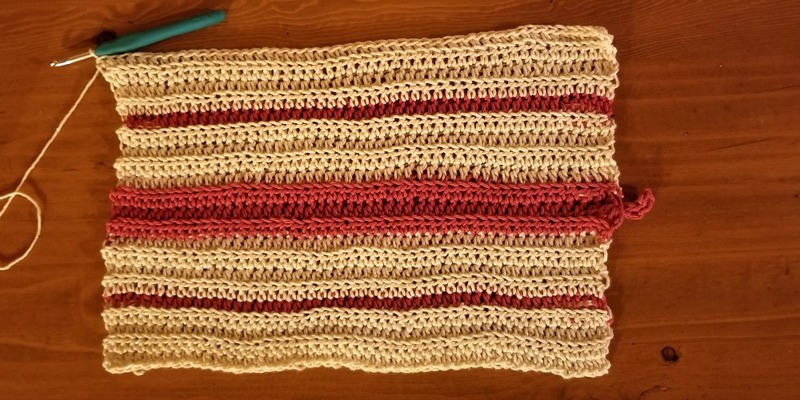 Yarn from Hobby Lobby. 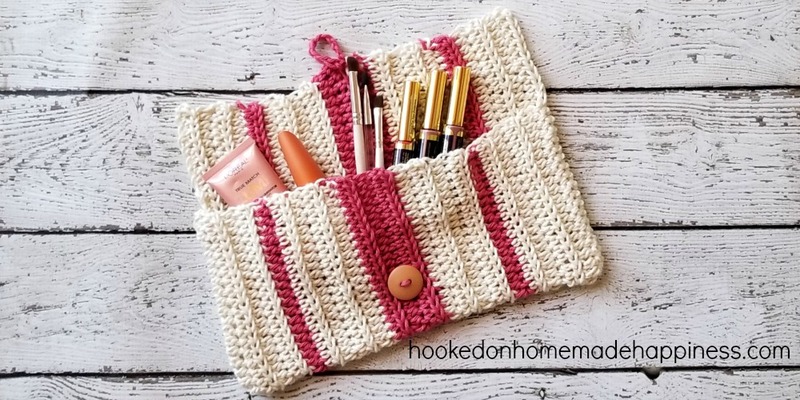 I had some left over and needed a small project to use it up, so I made this really easy make-up bag! I wanted something pretty on my counter to hold my make-up, and that’s exactly what I got! This bag is purely for aesthetic purposes. 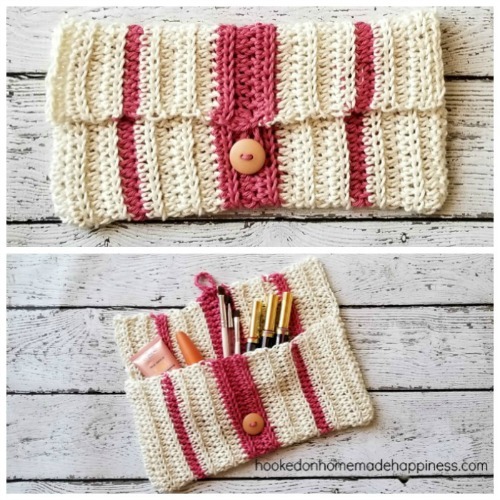 It easily holds my things while sitting on the counter, but it’s definitely not made to be used as a handbag or clutch. Do not fasten off, weave in all the other ends. Fold up, wrong side out, about 18 stitches. 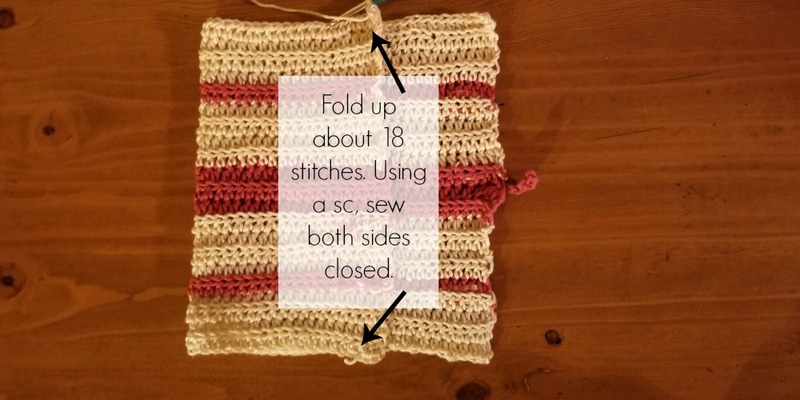 Using a sc, sew the side closed. Fasten off and do the same for the other side. Turn right side out so the seam is on the inside. Fasten off, weave in all your ends. Add your button to the front.